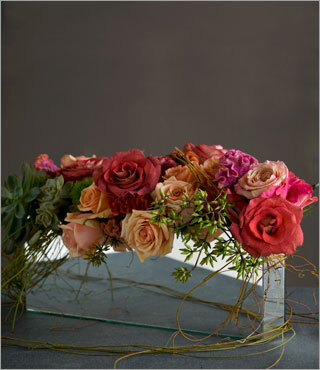 Flowers are sourced widely from within South Africa including local producers in the Western Cape, with a special emphasis on indigenous varieties, and also sourced direct from the world famous flower markets in Holland. A further speciality is a wide range of distinctive shell designs. Click on thumbnails above to view larger photo. Click on arrows to view other photos.